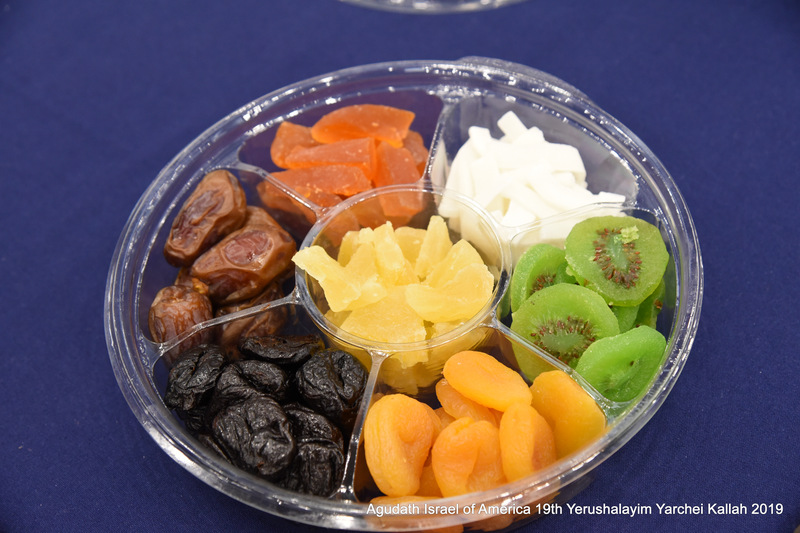 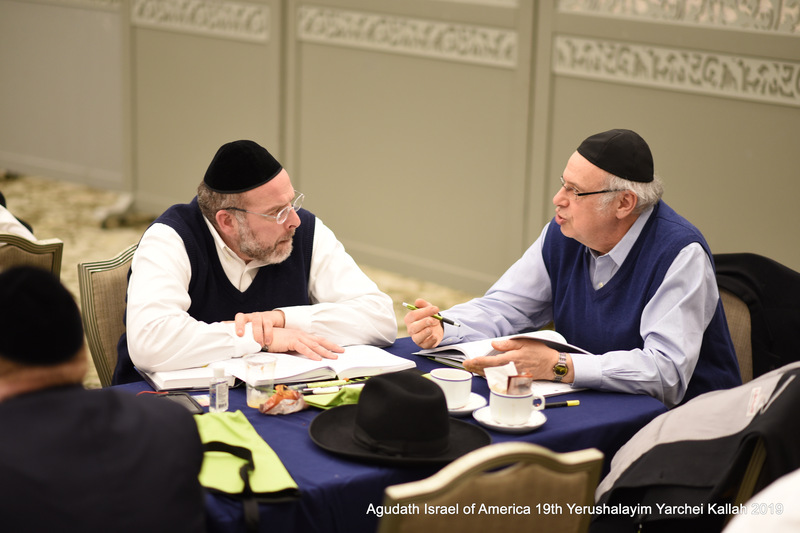 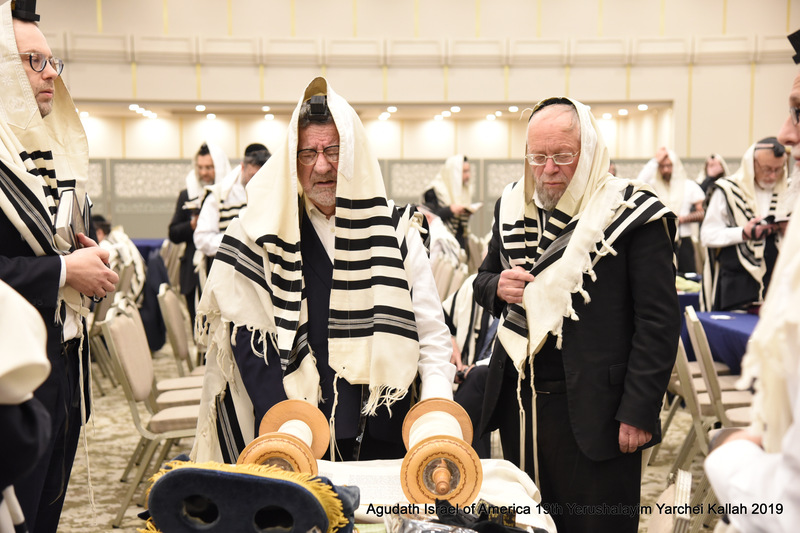 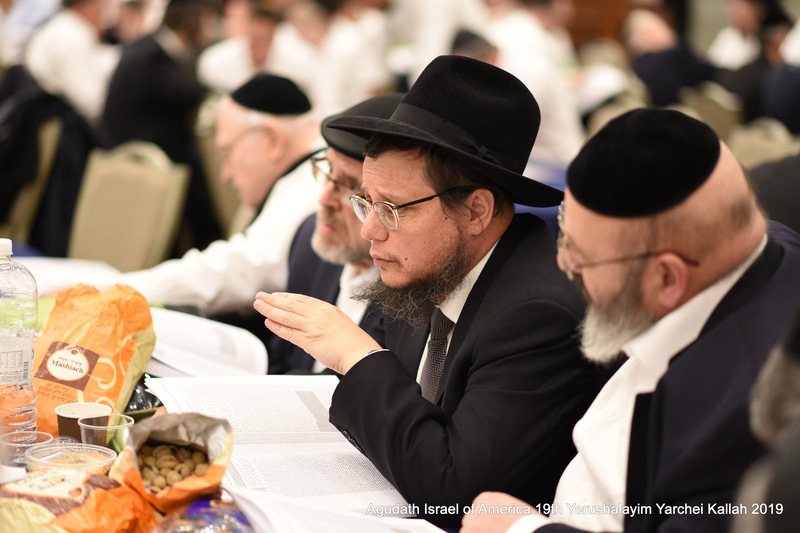 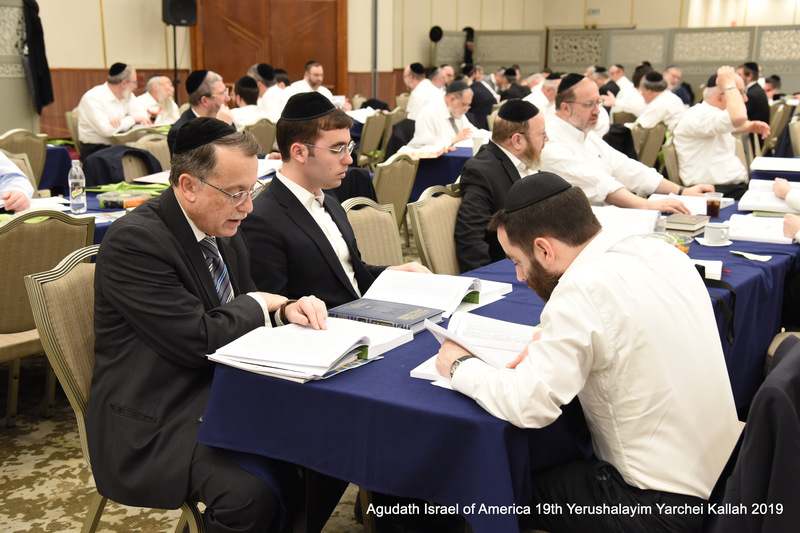 Tu B’Shvat, the new year for the trees, marked an auspicious beginning for the intense limudim of Agudath Israel of America’s Yerushalayim Yarchei Kallah. 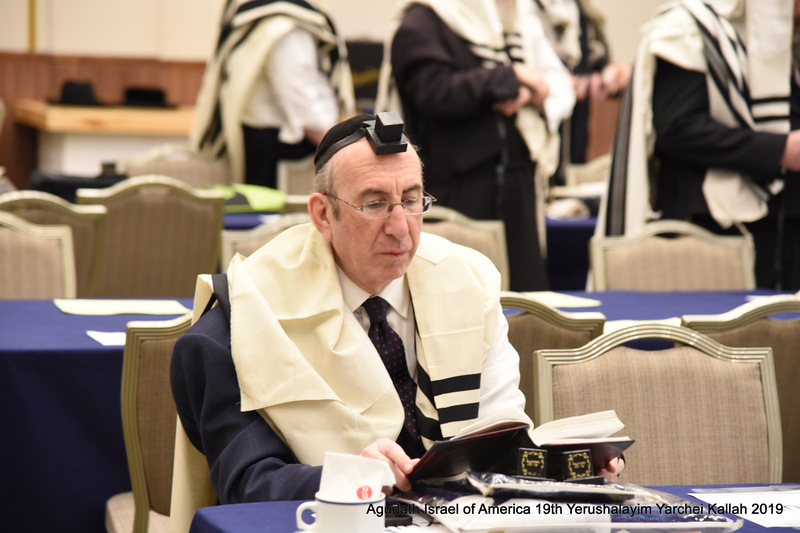 The day started early, particularly for those who took advantage of the opportunity to leave the hotel 75 minutes prior to neitz hachama to daven at the Kosel. 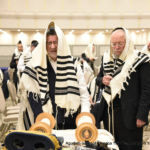 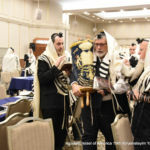 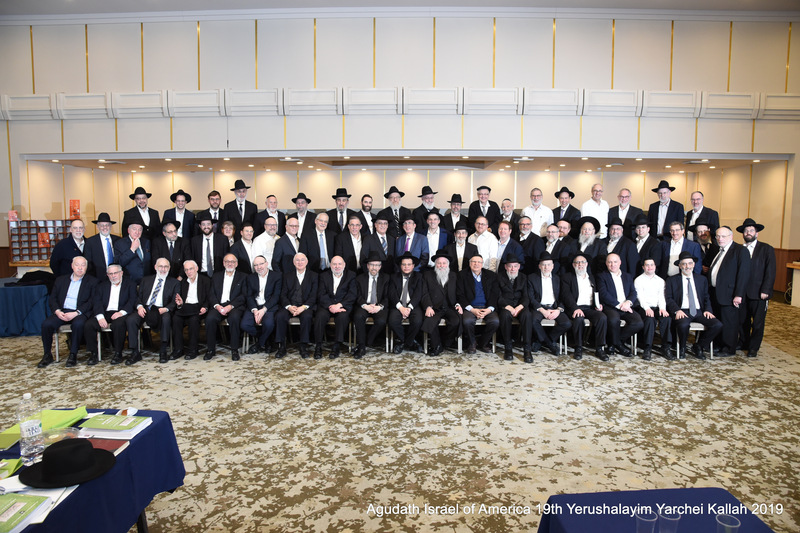 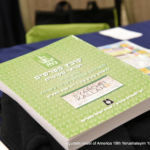 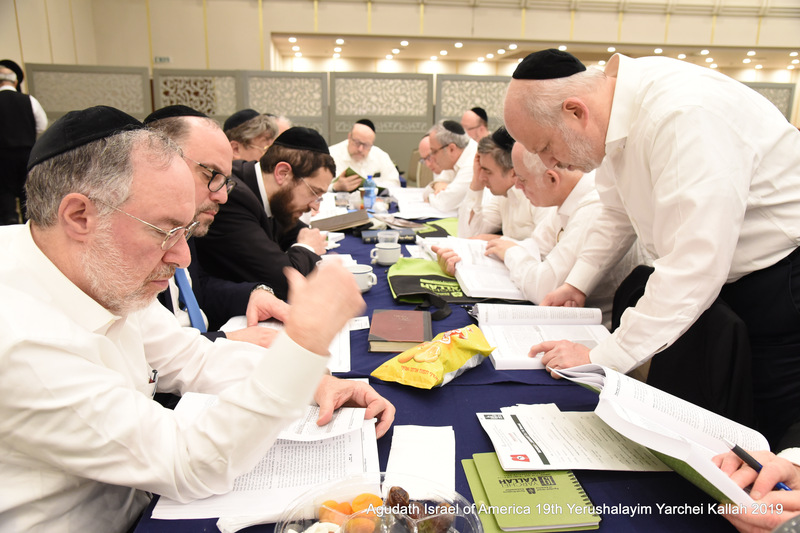 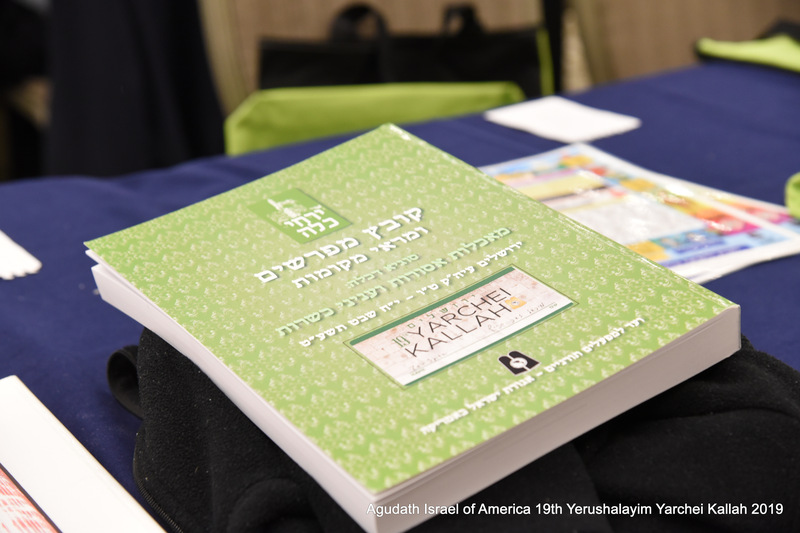 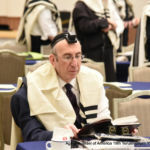 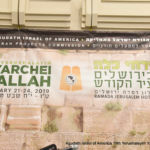 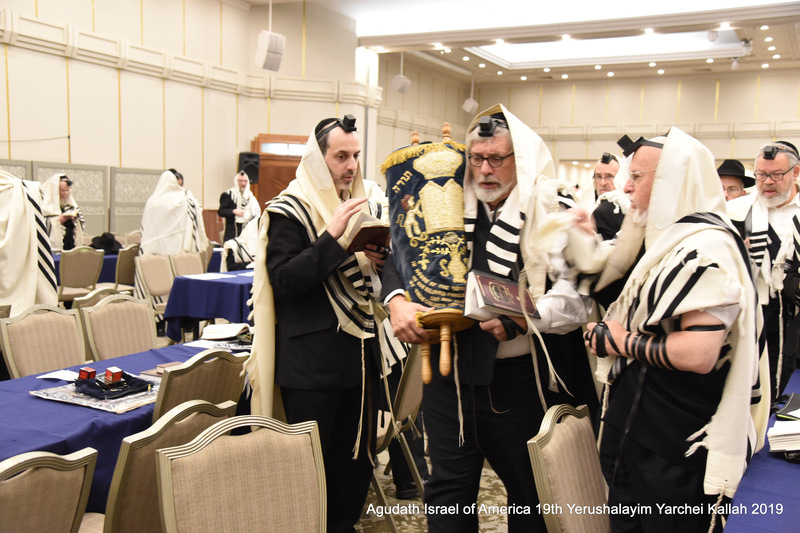 For those who remained behind, there was Shacharis at the hotel, after which participants lined up at the Yarchei Kallah registration tables to receive the more than 500 page long book of marei mekomos that would help them further plumb the depths of the sugya d’kallah. 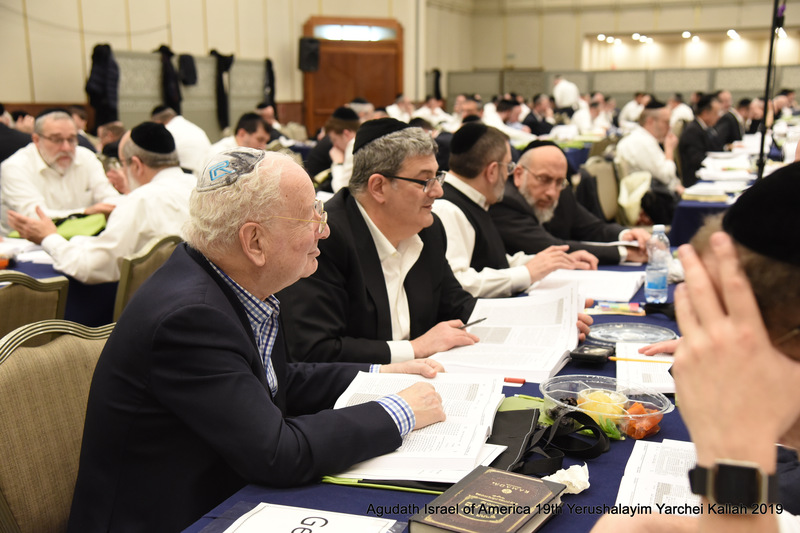 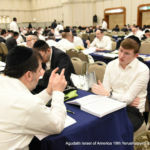 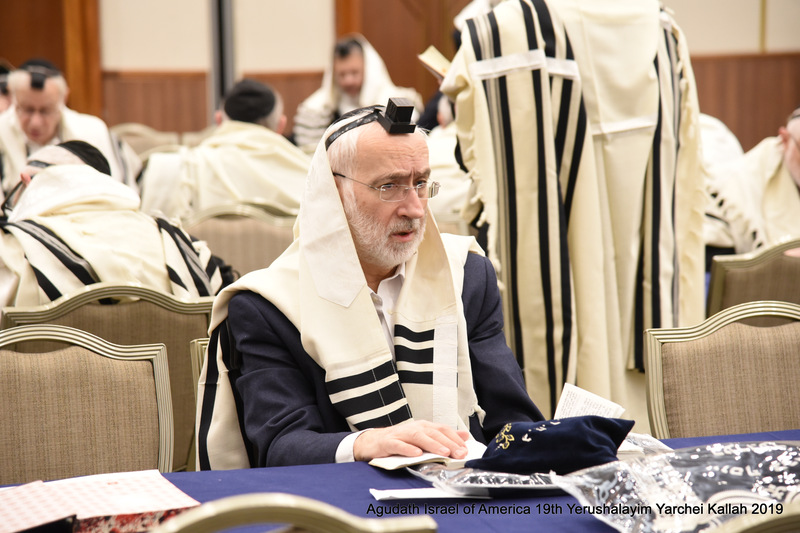 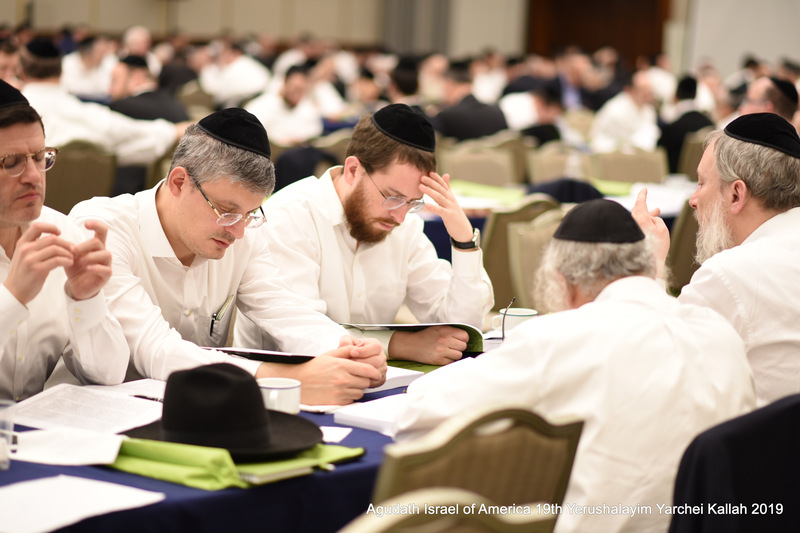 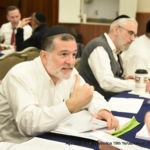 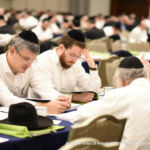 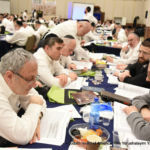 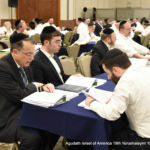 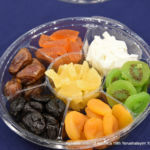 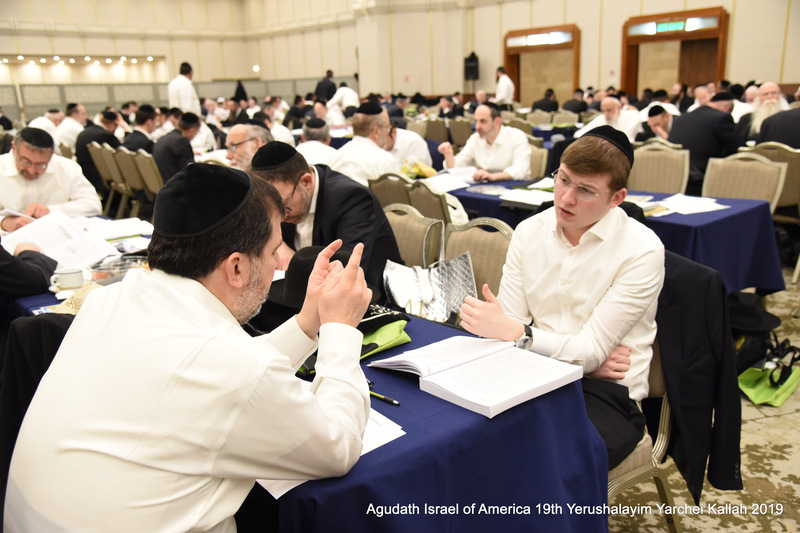 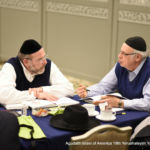 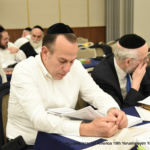 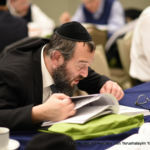 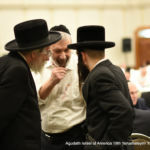 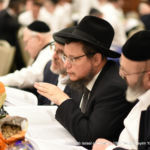 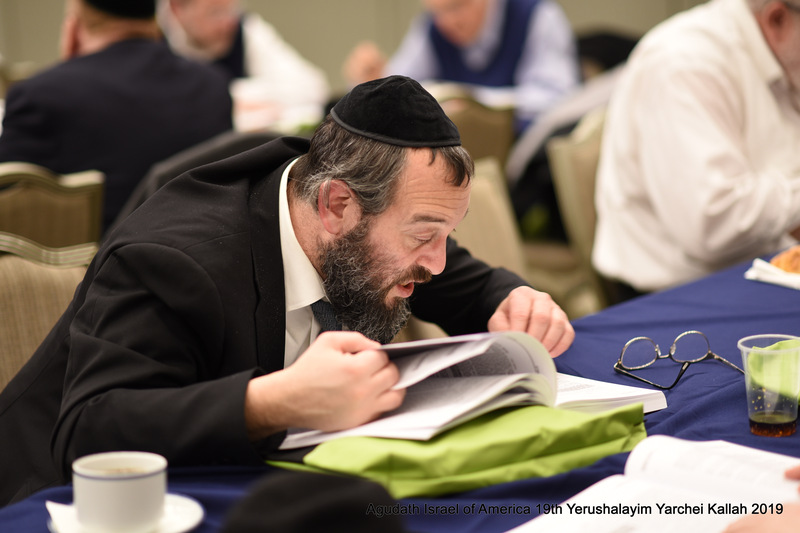 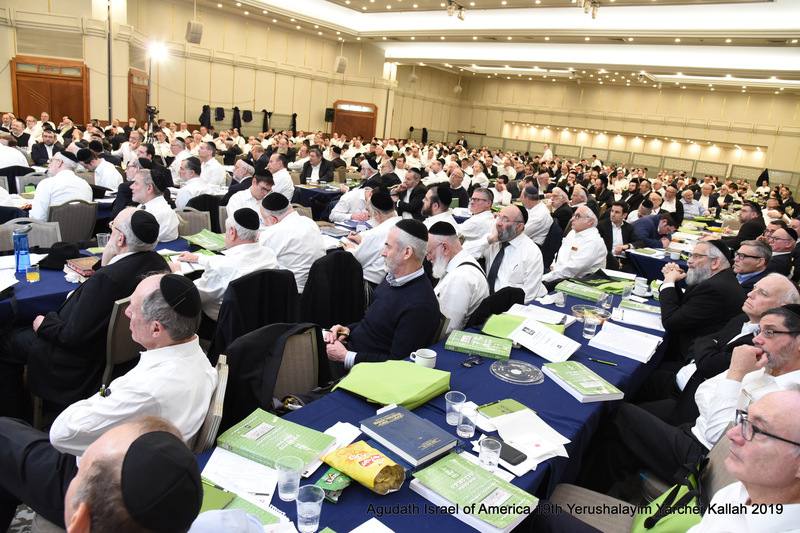 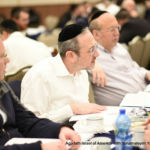 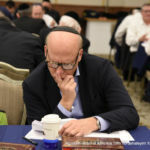 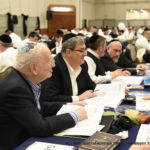 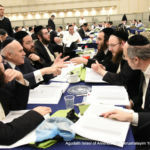 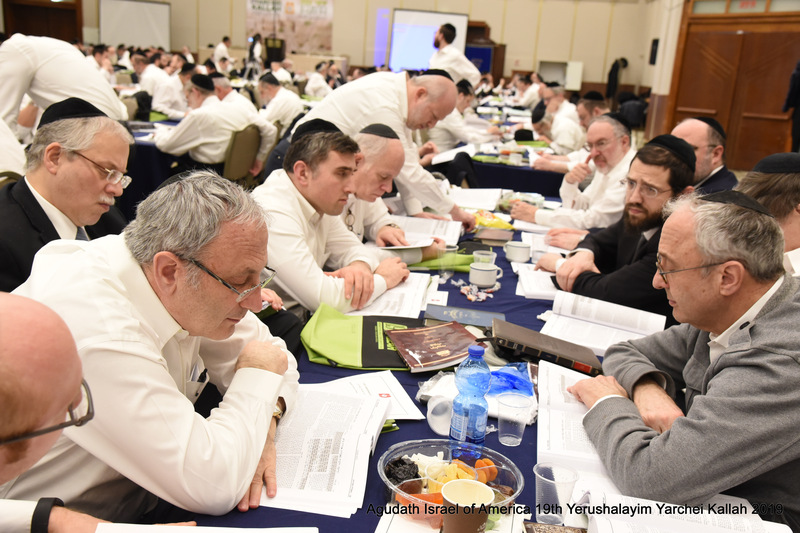 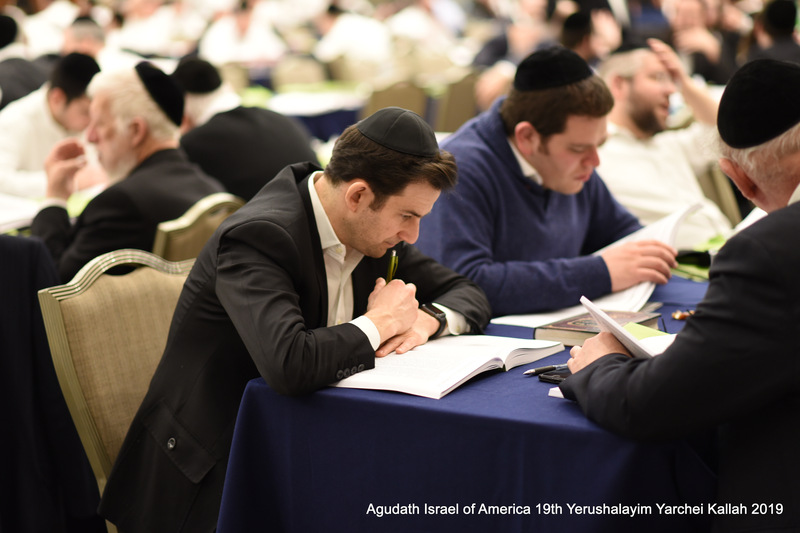 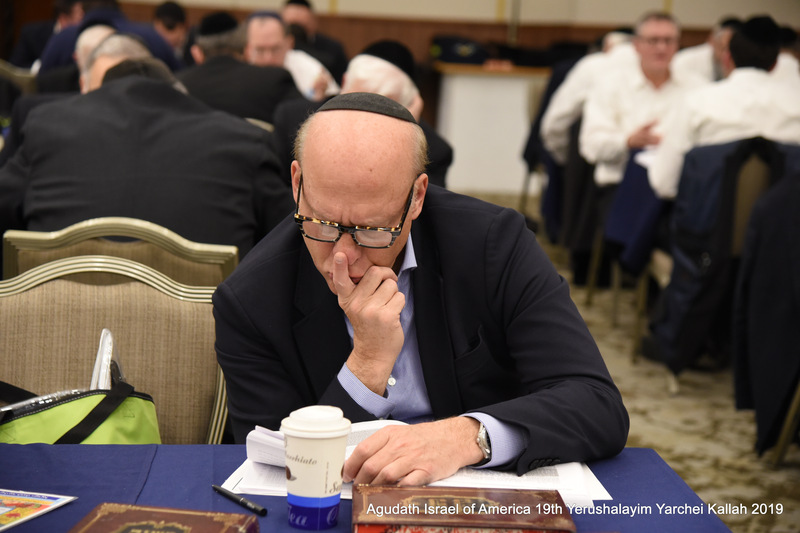 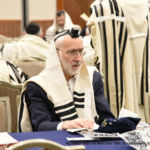 Despite having added extra tables to accommodate the largest ever Yarchei Kallah crowd, the hotel beis medrash was jam packed as eager attendees took their seats and began readying themselves for the morning’s main presentation. 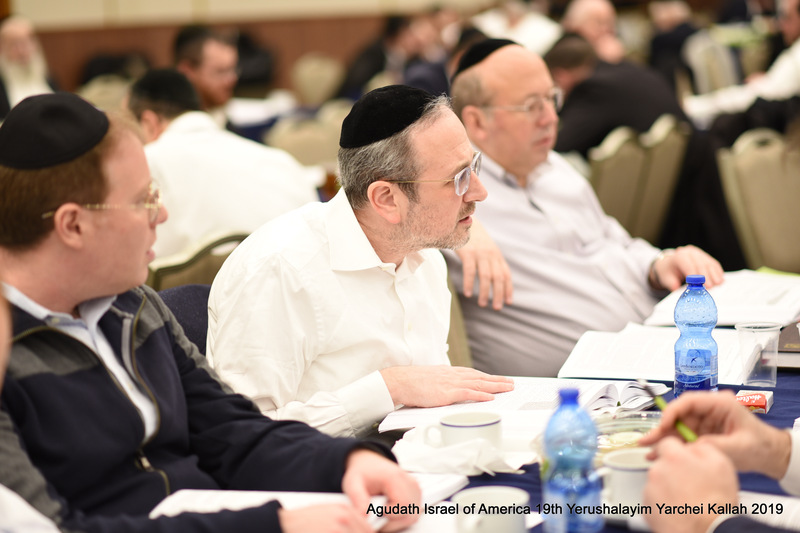 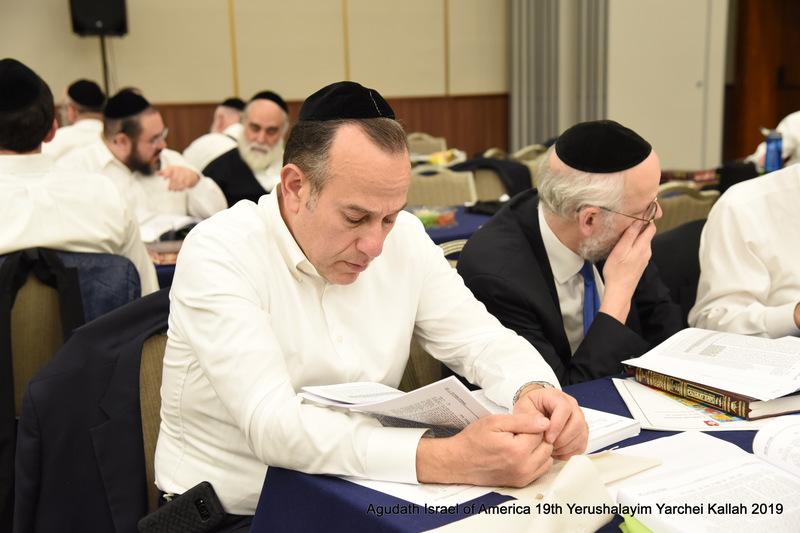 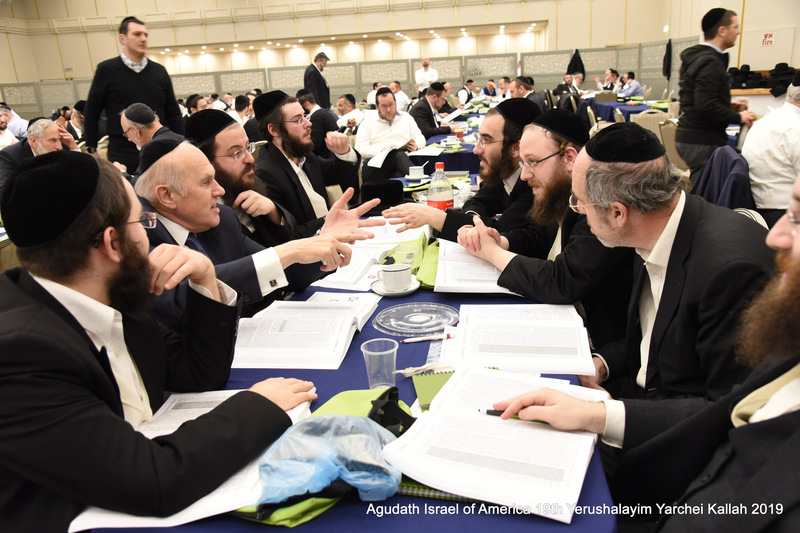 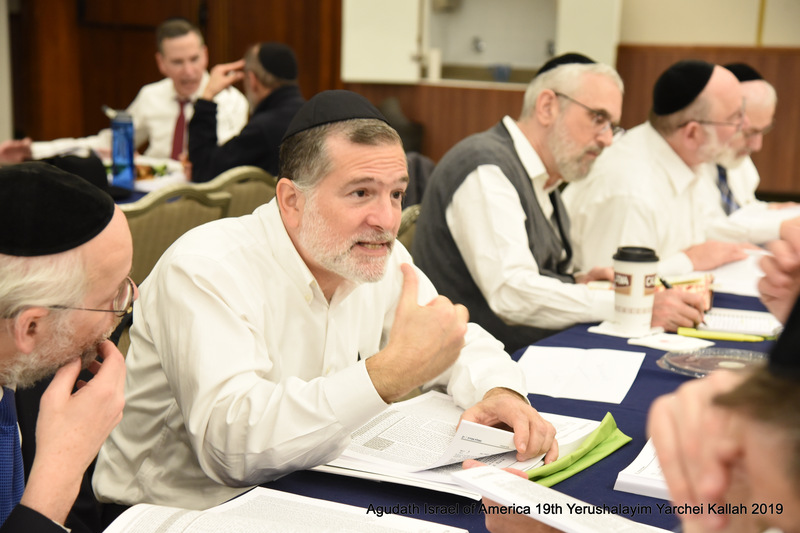 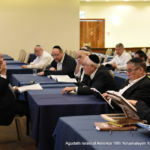 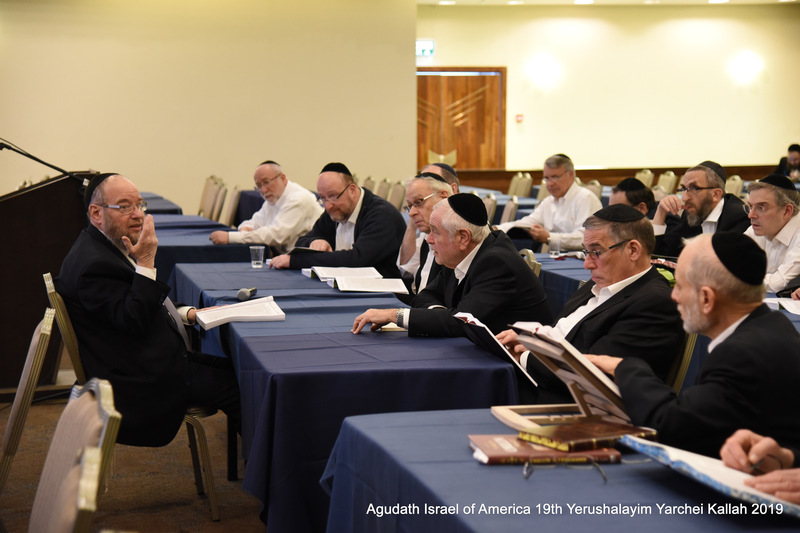 Many took advantage of an hour long preparatory shiur given by Rabbi Shlomo Gottesman, editor of Yeshurun and co-chair of the Yarchei Kallah, shedding light on the many nuances of the topic to be addressed immediately thereafter by Rabbi Asher Weiss, Av Beis Din, Darchei Hora’a, Rosh HaYeshiva Yeshiva Darchei Torah. 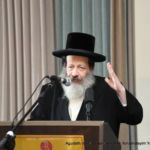 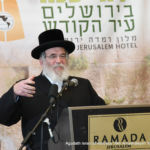 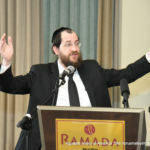 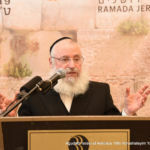 Rabbi Weiss began the main shiur of the morning by expressing his gratitude at having been honored to speak at every Yarchei Kallah to date and his personal pride in seeing its exponential growth throughout the years before expounding brilliantly on the many intricate halachos that apply to wine, which plays a pivotal role in Judaism. 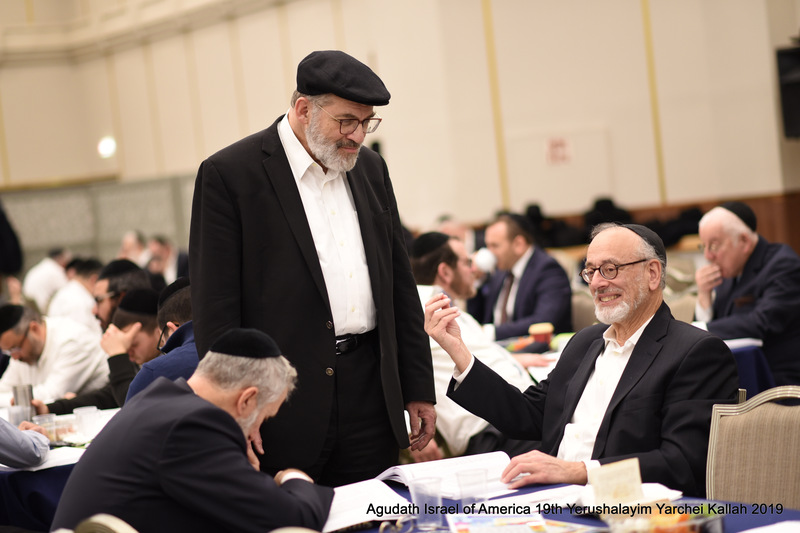 Early Mincha was followed by a Daf Yomi shiur given by Rabbi Shmuel Bloom, executive vice president emeritus of the Agudah, and by 3 PM the beis medrash was filled to capacity once again as attendees began their hachana for the afternoon shiur, preceded by a hakdama given by Rabbi Gottesman. 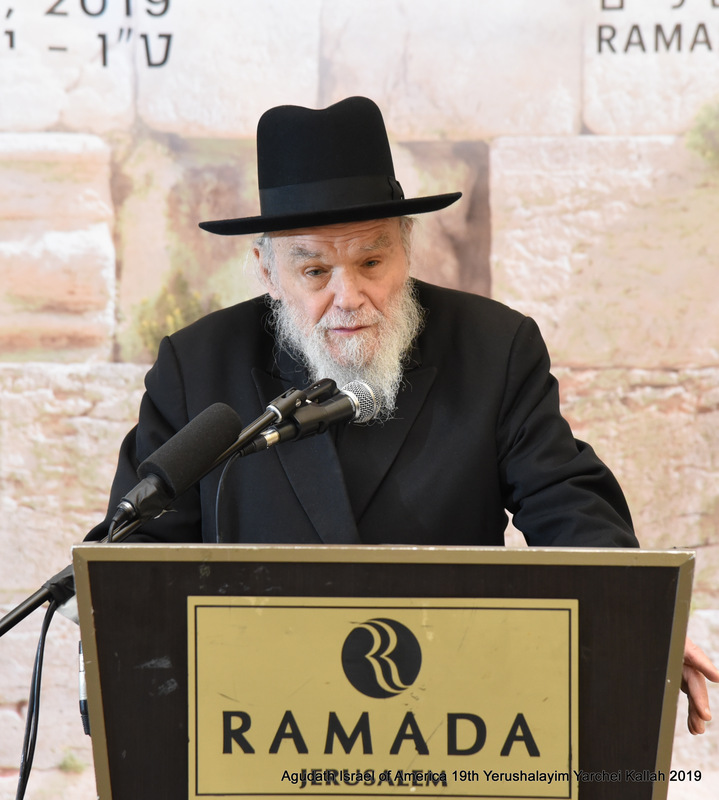 After a second Mincha minyan, HaRav Pinchas Friedman, Rosh Hakollelim, Belz, addressed the fascinating halachic conundrums of chatzi shiur, consuming only half the required amount of a dvar mitzvah as well as its implications for issur. 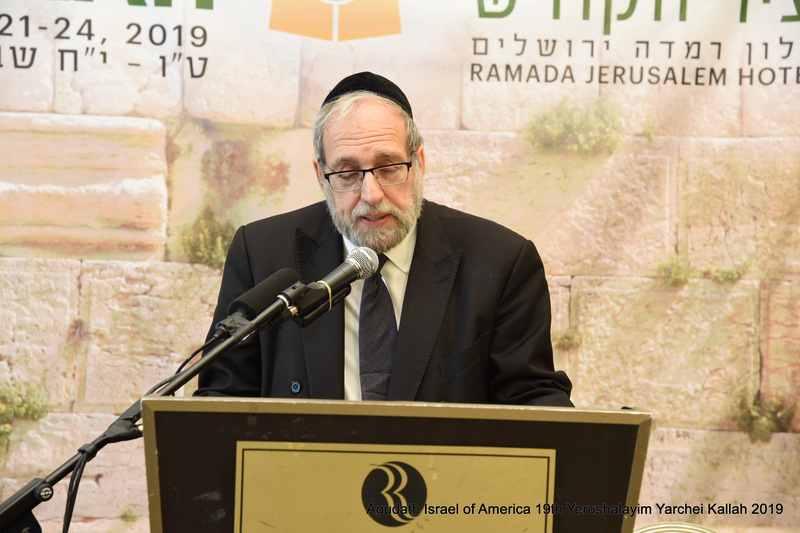 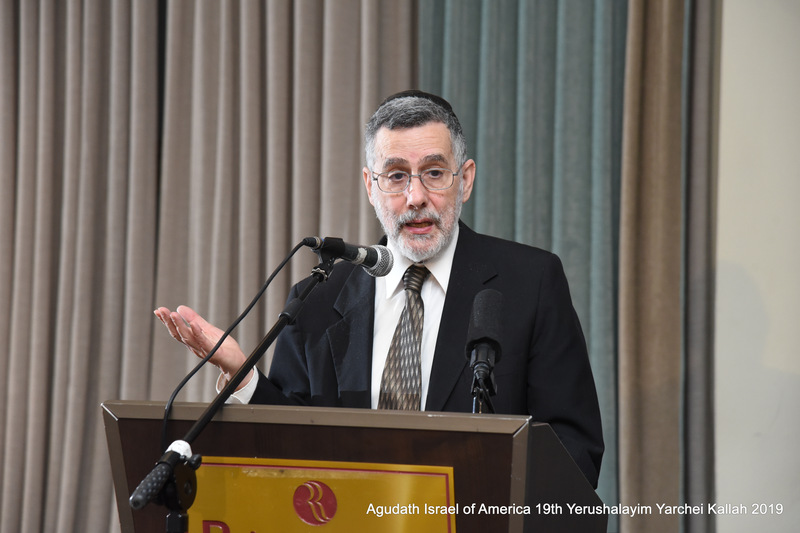 Rabbi Friedman also elaborated on the upcoming parsha, noting that even in times of duress, strict adherence to the Torah is key to our survival as a nation. 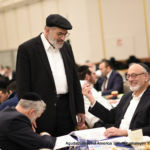 Two shiurei iyun were offered in the late afternoon, with HaRav Boruch Modechai Ezrachi, Rosh Yeshiva, Yeshiva Ateres Yisroel, discussing the finer points of machalos asuros and tikroves l’avoda zara with dramatic flair, while HaRav Meir Tzvi Spitzer, Rosh Mesivta, Yeshivas Mir, addressed the various prohibitions related to wine, whose extraordinary ramifications necessitate the need for strictly kosher wine. 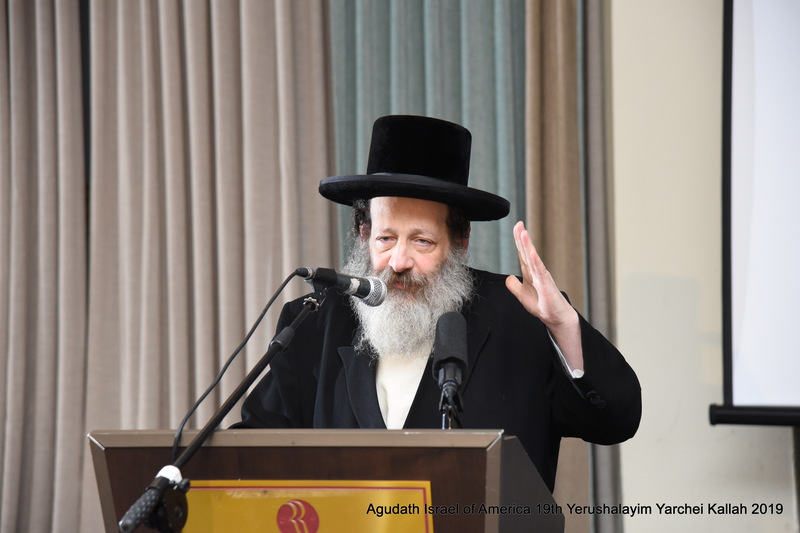 Offering divrei chizuk, HaRav Moshe Hillel Hirsch, Rosh HaYeshiva, Slabodka, Bnei Brak, spoke eloquently on the importance of continuously striving upward and never being content with our spiritual status quo. 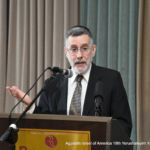 In another Yarchei Kallah first, the expanded evening program was open to the public in an initiative sponsored and inspired by Aaron Herzog, with all participants listening with rapt attention as HaRav Aaron Goldmunzer, Skvere Dayan, Yerushalayim, and Rabbi Menachem Genack, Rabbinic Administrator, OU Kosher, delivered a fascinating presentation on contemporary issues related to bishul akum at home, when traveling and in the manufacturing process. 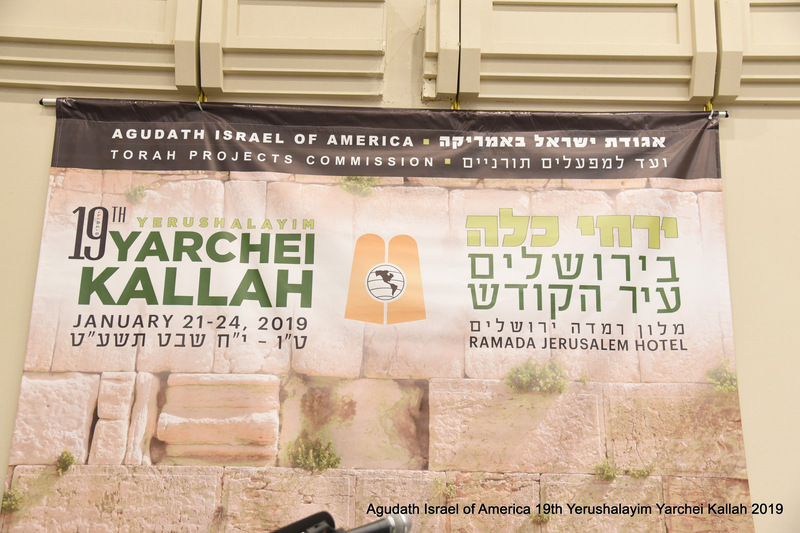 A special women’s track was dedicated in memory of Mrs. Aliza Grund, president of N’shei Agudath Israel of America, who founded and organized the Yarchei Kallah’s women’s program until her untimely passing last May. 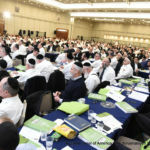 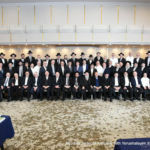 Over 200 women, both from the Yarchei Kallah and the outside, took advantage of a golden opportunity to hear from the renowned Rebbetzin Rena Tarshish, menaheles of Masores Rochel. 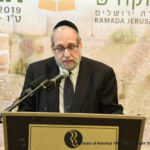 After being warmly introduced by Mrs. Debby Jacobs, Rebbetzin Tarshish spoke eloquently about the interplay of the midos of ahava and yira, in addition to paying heartfelt tribute to Mrs. Grund who she described as a paragon of chesed who truly epitomized those midos. 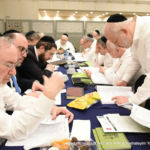 An afternoon excursion had the group traveling to Beis Lechem where they poured out their hearts in tefilla at Kever Rochel before returning to Yerushalayim. 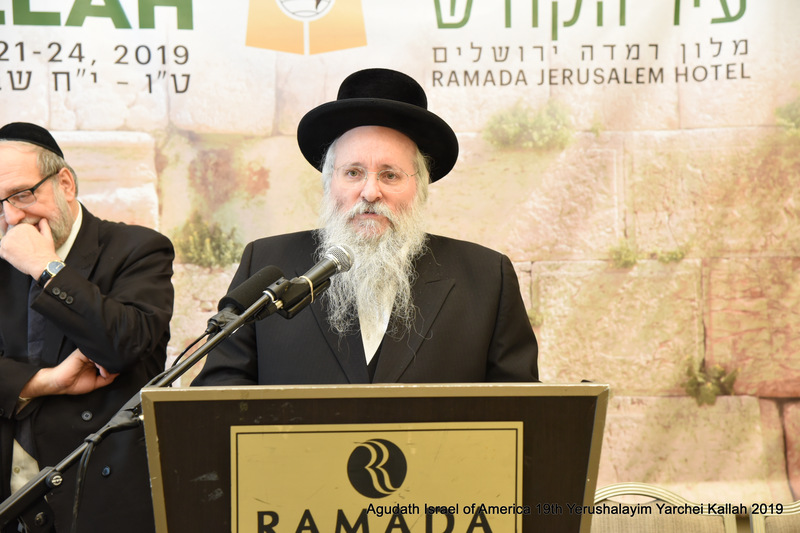 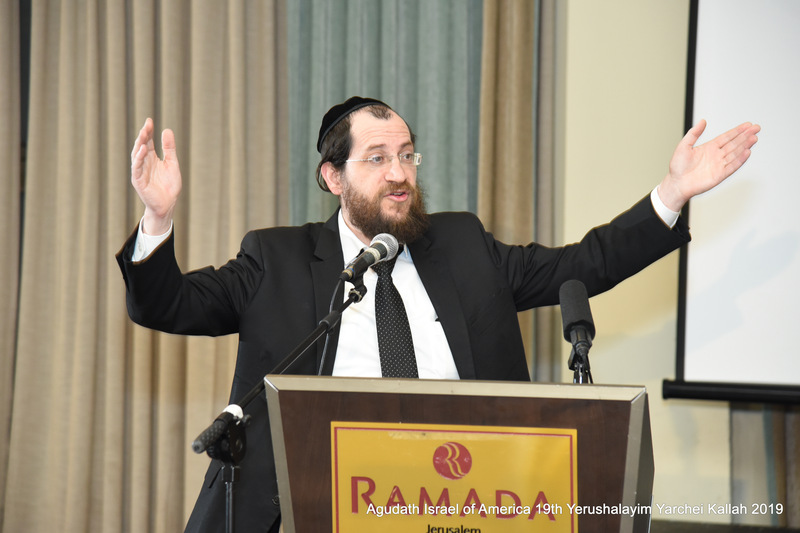 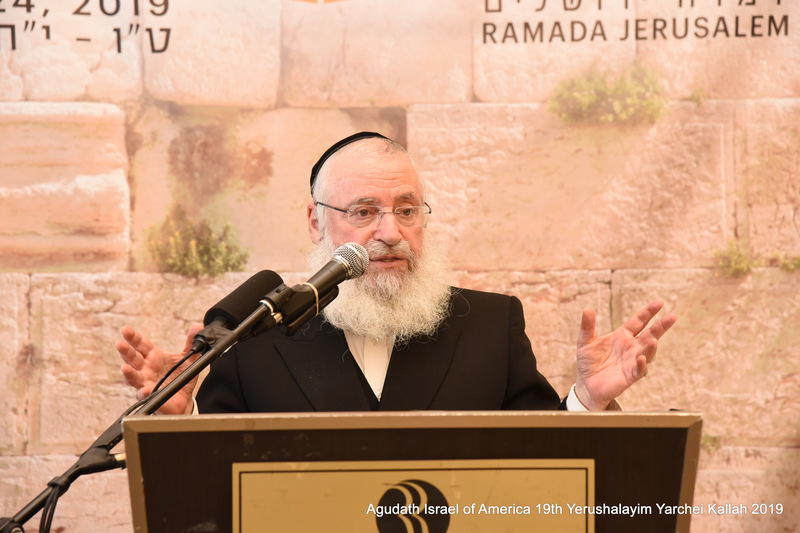 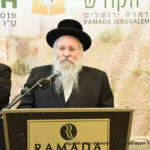 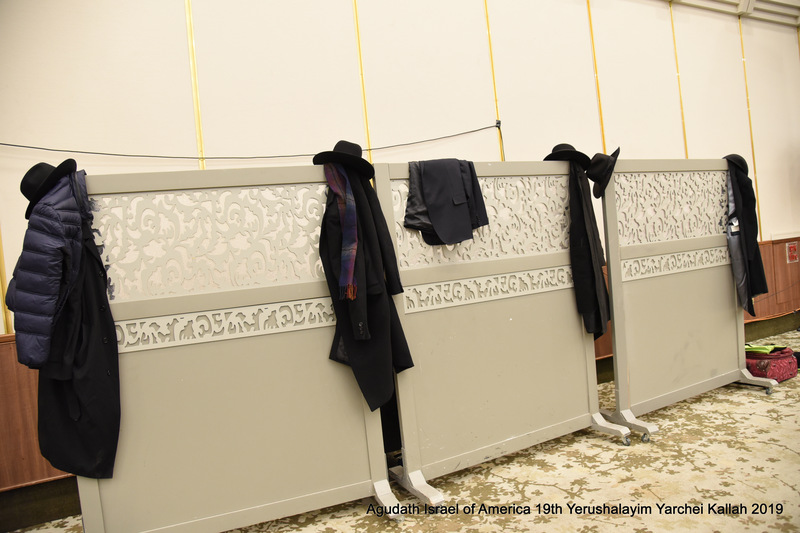 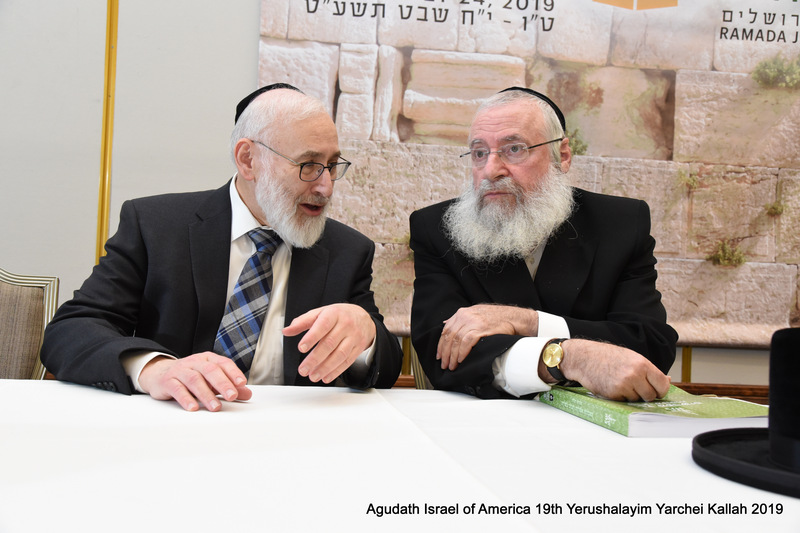 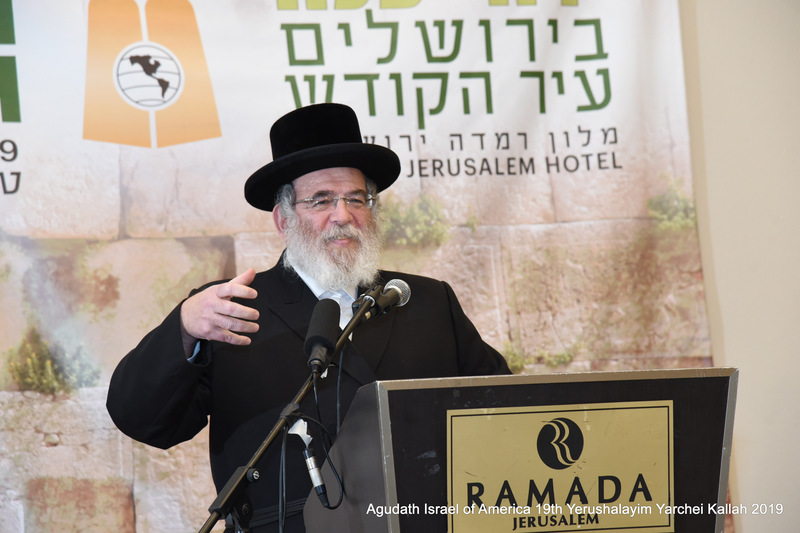 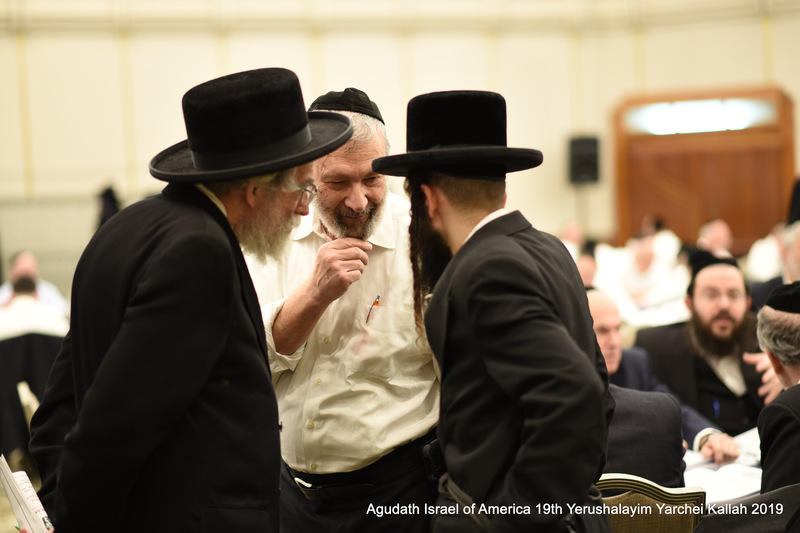 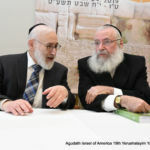 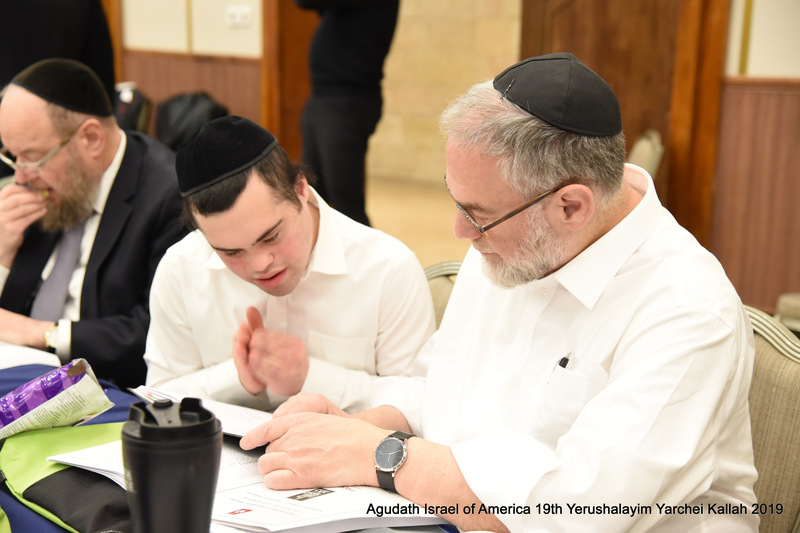 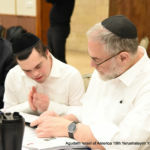 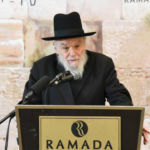 Rabbi Avrohom Nisan Perl, national director of the Agudah’s Commission on Torah Projects, said that he was inspired by the dedication that was on display throughout the day on Monday.